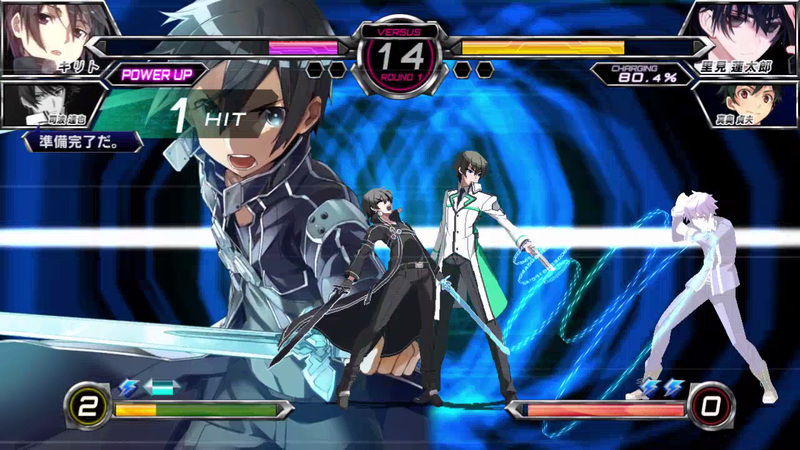 Dengeki Bunko: Fighting Climax is a PS3/Vita title that was previously released in Japan. It’s a beat ’em up that is also a mash up, featuring characters from a large array of Japanese anime shows. As is often the case, this makes it a game primarily geared towards fans of the anime genre, but there’s a solid fighting game underneath as well. If the name Durarara means nothing to you, then you probably aren’t a part of the anime crowd. Still, that’s not a problem when playing the game, because the references are pretty much only found in the characters and there’s very little story wrapped around them. It’s a typical “excuse to get all these random characters together” plot, this time revolving around all of them being abducted across time and space. The actual fighting action is what’s it all about, and it can best be compared with games like Skullgirls – although the closest relative on the Vita is probably BlazBlue. It’s a 2D fighter, with large cartoon/anime-styled characters duking it out. Because of the variety in the source material there are some odd match-ups to be found as well, and in some cases this results in balancing issues – especially in multiplayer. A recent upgrade to the arcade original rectifies some of this, but those changes aren’t included in the current PS3/Vita release. 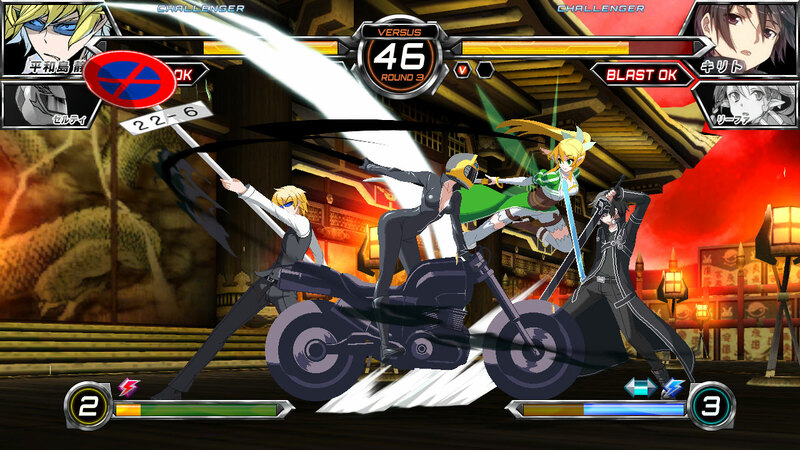 We’d most recommend getting Dengeki Bunko: Fighting Climax for the Vita. It’s a platform that had some solid fighters early on in its lifespan, but it’s been a while since we’ve seen the likes of Street Fighter vs Tekken, Mortal Kombat and Injustice on the Vita. The exception is perhaps BlazBlue, since we saw Chrono Phantasma Extend as recent as this year. Still, the choice in fighting games for Vita owners isn’t nearly as abundant as it is for PS3 owners, and the conversion was done well. The animation and art is colorful and smooth, and although not a AAA title it has some of the best production values we’ve seen on the Vita this year. What’s also interesting to note is that the control scheme seems to be better suited to the Vita. The PS3’s Dualshock controller is a lot better at executing the kind of precise semi-rotations and buttons combinations that games like Tekken demand, but Dengeki Bunko isn’t nearly that demanding. In fact, it’s so accessible that even first-time players can win fights against more experienced opponents. Random button mashing initially goes a long way in this game, which is also a bit of a weak spot for those who appreciate the finer fighting mechanics that other games bring to the table. Things do get more interesting once you start to develop strategies (especially when you include the trump cards that boost your skills for a short while), but it’s never as deep as some might like. This makes Dengeki Bunko: Fighting Climax somewhat of a casual fighter, the appeal of which is largely determined by whether or not you are familiar with (and enjoy) the anime shows that it’s based on. If you do then you’ll most likely enjoy this a lot, but without that recognition it’s just an okay fighting game that doesn’t stand out from the crowd. As mentioned, a revamped version of the game (subtitled Ignition) has already been released in arcades and might eventually come to the US for Playstation as well, so that might also affect your buying choice. It’s been released at a pleasant price point, so if you’re a fan of games like Skullgirls and BlazBlue in terms of style – but would like to experience a different gameplay style, then you could do much worse than this.